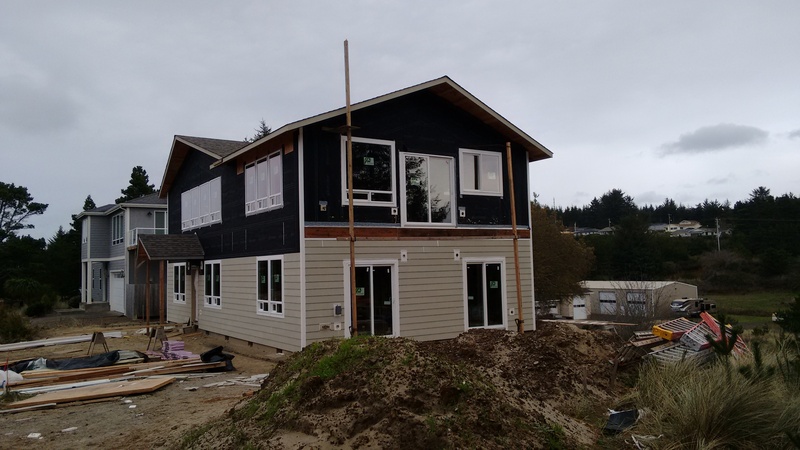 I wanted to put up the most recent photos of the beach house, taken the second week of November. First, here’s the front. 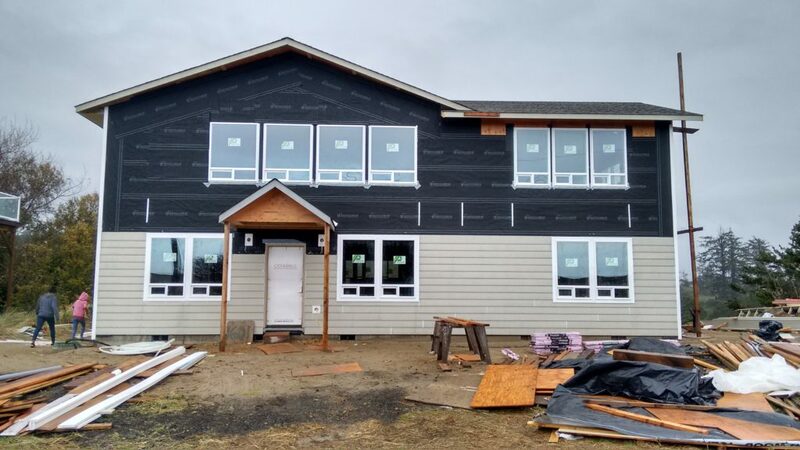 There are still 4 windows missing, which is why it looks a little off balance over the front door. 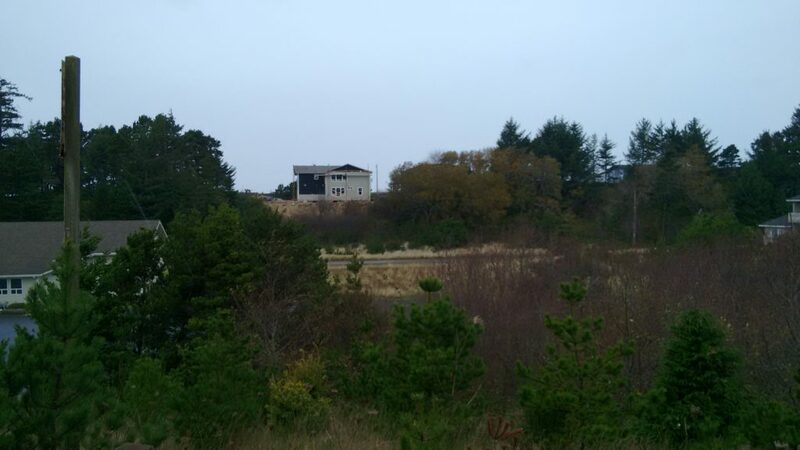 Here’s a shot of the back of the house from highway 101. That spot at the top of the hill was blank a few months ago, and now there’s our house! 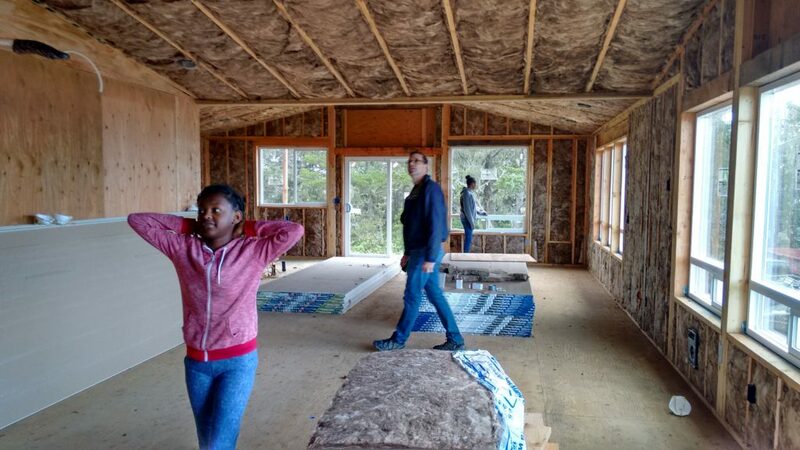 Here’s the inside of the great room, looking toward the ocean. That big clump of trees in the dining room window is the one that should be trimmed down to 6 foot height next time we visit. Here’s another shot from the stairway through the living room and south toward the dining room and kitchen. Then this last photo is of the south end of the house. 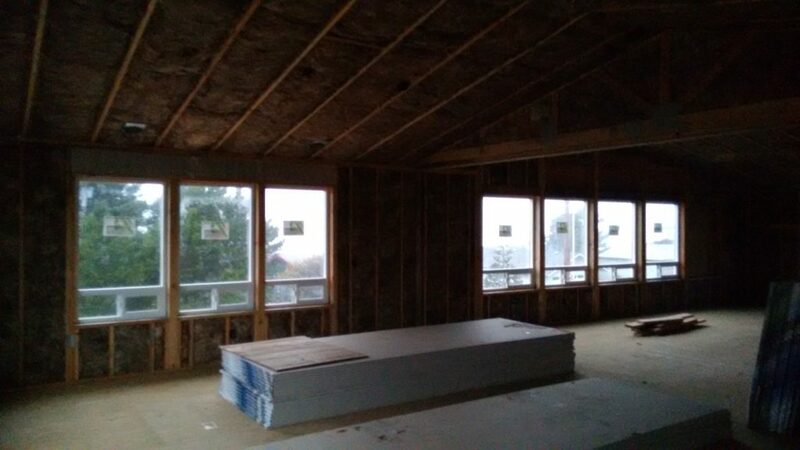 You can see the ledger board below the sliding glass door where they’ll be attaching the deck. Below it will be a concrete patio where the hot tub will sit. In the next weeks the build will be getting even more exciting. Sheetrock is in now, and they’re already working on tape and texture. Soon after that comes paint and flooring. We have a granite templating appointment scheduled for December 8th, and to make that possible, the kitchen cabinets need to be in place. (Click here to read about our kitchen cabinet adventure.) If that goes as planned, we could have granite by the end of December. Can’t wait to see how it goes– I’ll keep you posted! !